For regular readers, this Meatless Monday post may look eerily similar to last week’s, and it is. The saving grace – I hope – is that this version was made, and consumed, in my own kitchen! Saturday morning I took a walk into town to pick up the goodies for my first foodie pen pal parcel – if you don’t know about the foodie pen pal scheme, check out the website and join! I should be posting about my first parcel at the end of August. On my way through the high street, dodging strollers, seagulls and the inevitable hoards of people hassling you for money for one cause or another, I saw the vegetable and fruit stalls set up. I guess I don’t usually get into own this early on Saturdays, this was 10:30am after all, but a quick peruse over the (hopefully) Kentish produce led me to a crate filled with beets. They were not the normal beets you find at the bottom of the vegetable bin − dried up, hard as rocks, the size of watermelons and generally looking a bit sad. 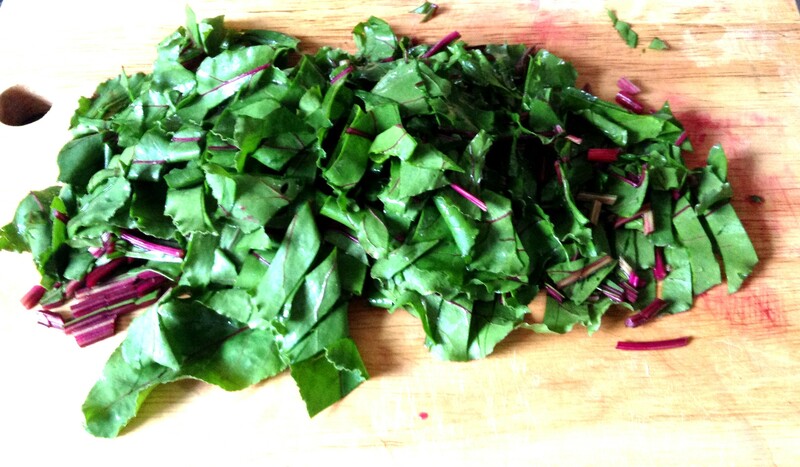 These were fresh beets, small, perfectly formed purple orbs and, most important, with the stems and (usable) leaves still attached! I was ecstatic. 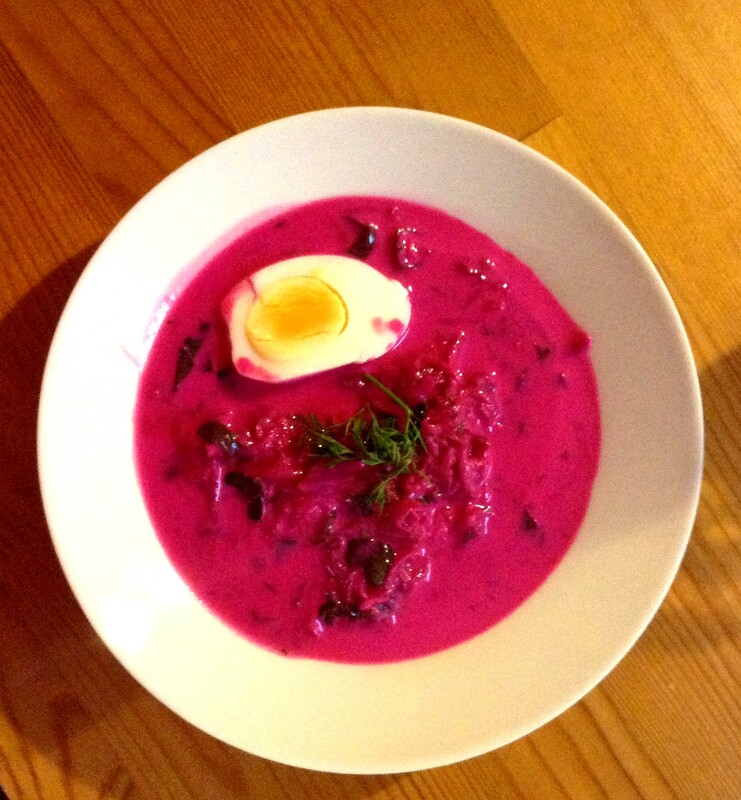 Obviously the first thing that came to mind was chłodnik, the wonderful chilled beet soup we enjoyed on our recent trip to Poland. I immediately called my Polish friend, who I had been due to see that afternoon anyway, and informed her of my discovery and we decided that there was nothing for us to do but attempt chłodnik ourselves. It was much simpler than I imagined, although admittedly it did take a bit of time, but it was time spent waiting around so not exactly hard work. Lots of fresh vegetables hanging about in the kitchen made me feel good and healthy as well. Speaking of healthy, while the soup was chilling we had plenty of time to debate the health benefits of buttermilk versus yogurt. Surprisingly, in a side by side comparison buttermilk is lower in fat and calories than low fat natural yogurt. Who knew? Buttermilk actually has very little fat or calories (0.1 grams of fat and approximately 40 calories per 100ml), so this soup really is super healthy. Even though buttermilk does make up the base, you don’t have to feel guilty about it. For a first attempt, I think it came out pretty well. It could have had a bit more depth of flavor, but I think it might take a few more experiments and tweaks to get it perfect. My taste buds are looking forward to the challenge though! 1. 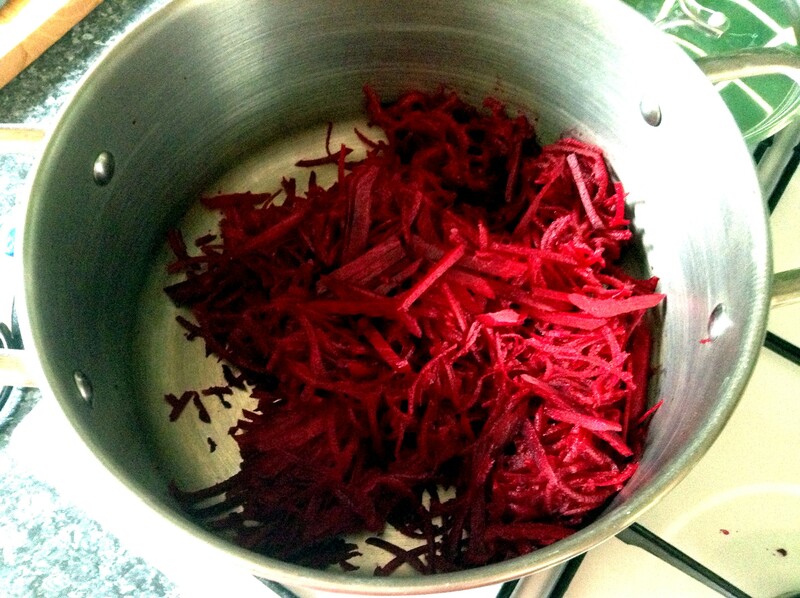 Place the grated beet and stems in a soup pot and just cover with water. 2. Heat over a medium heat until just simmering, lower heat and cook, stirring occasionally for about 10 minutes. 3. 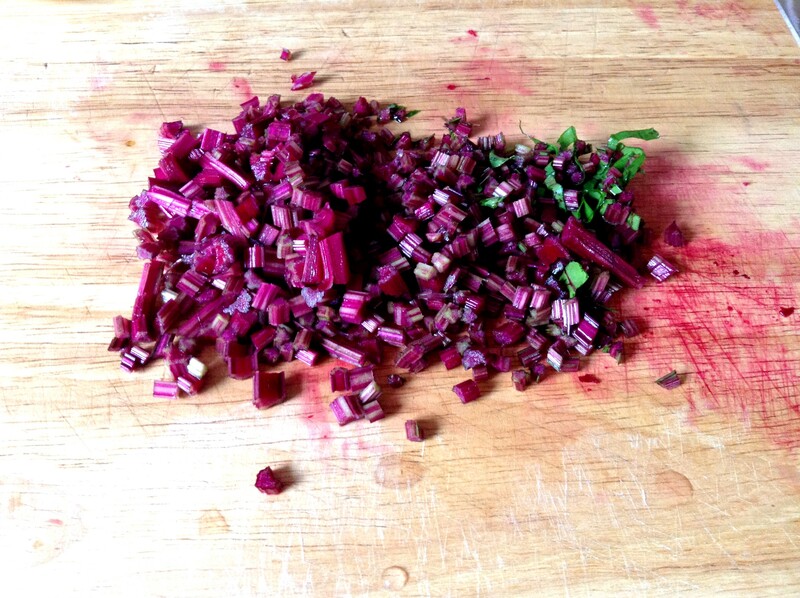 Add leaves to the beet mixture and cook for a further 3 minutes. 4. Remove soup pot from the heat and set aside until completely cold. 5. 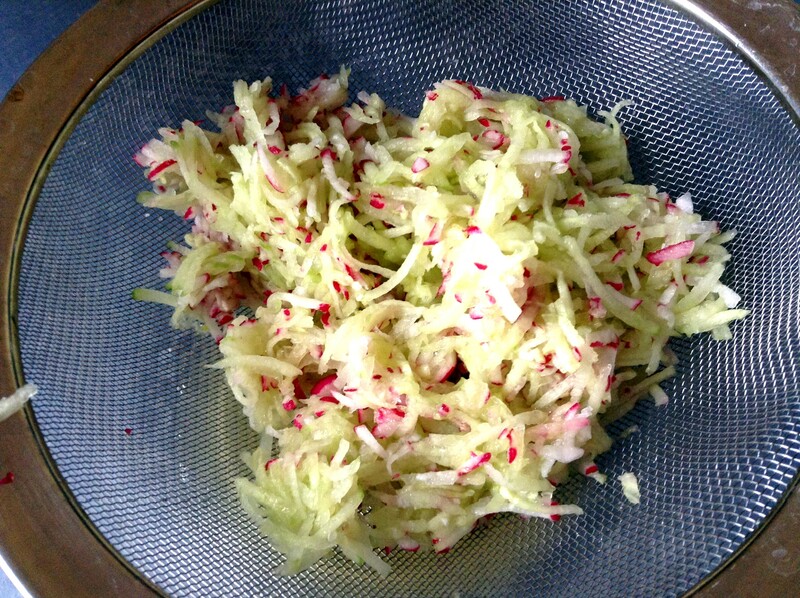 In the meantime, place grated cucumber and radish in a sieve. Salt the vegetables liberally and set aside for 30 minutes for the liquid to drain out, stirring occasionally. 6. When the beet mixture is completely cold, stir in the cucumber and radishes, dill, green onions and buttermilk/yogurt mixture and season to taste. 7. Serve sprinkled with more dill and garnished with half a boiled egg. 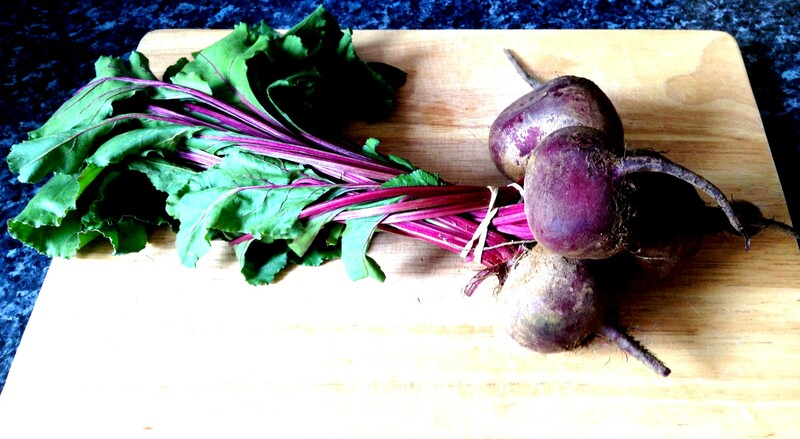 My favorite way to eat beets. Mine too now! It’s a shame I can’t often find them with the leaves still in edible condition. Like a hybrid Gaspacho and Borscht? Love this. 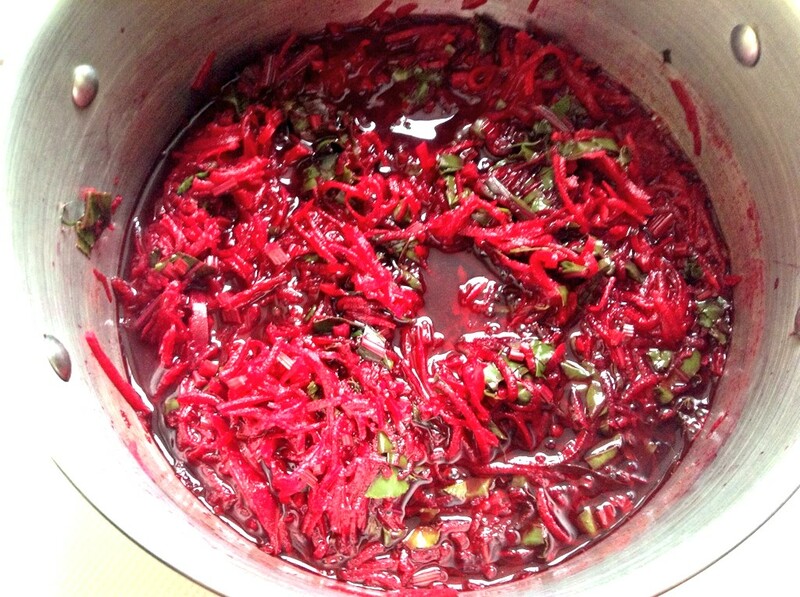 Yeah, probably closer to borscht, but it’s darn tasty!